Eight stereo inputs with programmable level. 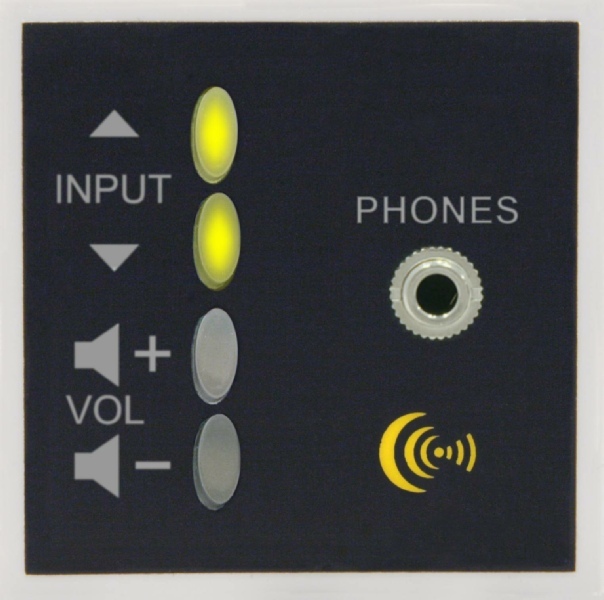 Eight balanced stereo outputs with programmable level. 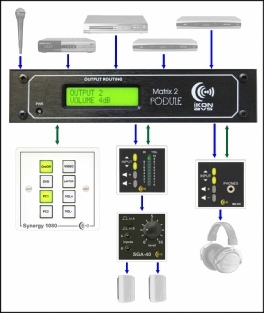 Individual channel remote control of input and level via RS232, PodNet or remote panels. The Matrix 2 is an easily controlled and configured central stereo audio processor. Use as the heart of a distributed audio system, as a router for a multi-room system or as part of a complex boardroom system. Use as the heart of a distributed audio system, as the router for a multi room system or as part of a complex boardroom system, the iKON Matrix 2 Podule offers an easily controlled and configured central stereo audio processor with individual level control of each output. It is also ideally suited for multiroom audio and headphone distribution system when used with the remote panels. Inputs are unbalanced via 3.5 mm stereo jacks; whilst all the outputs are balanced and share individual RJ45 sockets with control and DC power, allowing a single Cat5 cable between the Matrix 2 and its remote outlets and control panels. The current output assignments are shown on the front panel LCD and the Matrix 2 also incorporates multiple selectable operating configurations, volume range setting and online level trimming expanding its abilities beyond simple audio switching. 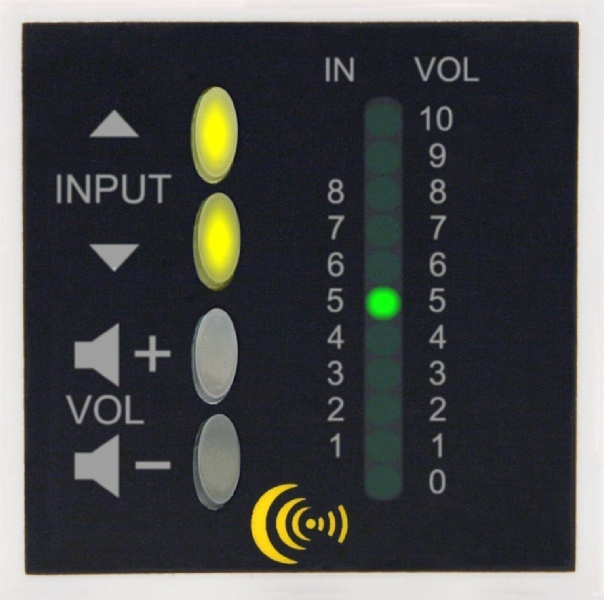 The Matrix 2 can also be controlled via RS-232 or connected via PodNet using a single Cat5 cable to allow remote selection of input sources and volume control from individual rooms or centrally from our Wall, Euro and Touch Podules. Supplied complete with UK power supply, add ‘/EU’ to order code for European power supply.